Today, Nov. 9, 2017, more than 1,200 shelters participating in the Million Cat Challenge projected they’d saved 1 million more cats, not just within the five years of the Challenge, but more than a year early. 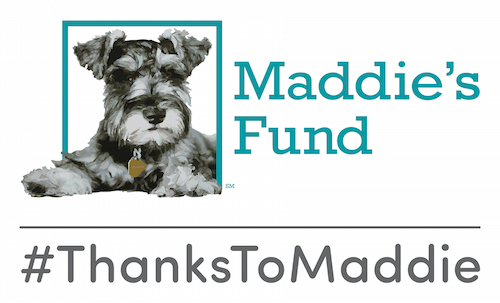 The Challenge, a joint project of the Maddie’s Shelter Medicine Program at UF, the UC Davis Koret Shelter Medicine Program, Maddie’s Fund, and the ASPCA, is a shelter-based campaign to save the lives of 1 million cats in North American animal shelters over the course of five years. The campaign is centered around five key initiatives that offer every shelter, in every community, practical choices to reduce euthanasia and increase live outcomes for shelter cats. Since launching, the Challenge homepage has ticked off a daily tally of the number of cats the participating shelters have collectively saved. Each year since the project debuted, the total number of cats saved has consistently exceed their shelters’ projections. Today, less than four years after the project launched, the counter rolled over 1 million cats saved. Locally, Alachua County Humane Society and Alachua County Animal Services were among the first in the country to join the Challenge when it debuted in 2014. Together, they have partnered with rescue groups, spay-neuter clinics, and the College of Veterinary Medicine to eliminate the euthanasia of healthy and treatable animals, maintaining a community-wide save rate of 90 percent throughout 2017. This makes Alachua County one of the safest places for cats in the country. Statewide, more than half of Florida’s animal shelters have joined the Challenge, and have seen the total save rate for cats leap 22 percent in the last three years. There is simply no better word I can conjure as I watch our counter roll toward 1 million today. That’s not just a million cats, but a million more cats saved than ever before. What started as a seemingly audacious goal has snowballed into a movement that has changed the face of animal sheltering forever. When the final data is in, we will celebrate with more than 1,200 shelters that challenged themselves to go big for cats – and go big they did. Together, they will have crushed the goal to save a million more cats in five years and stormed past it in less than four. And we know they won’t let up. This is just the beginning, and more shelters are taking the challenge every single day. Thank you to every staffer, every volunteer, every veterinarian, and every shelter manager who not only believed it could be done, but also wouldn’t accept anything less. Thanks to Maddie for the generosity that led to the Million Cat Challenge. To learn more about the project, or to enroll your shelter, visit www.millioncatchallenge.org.